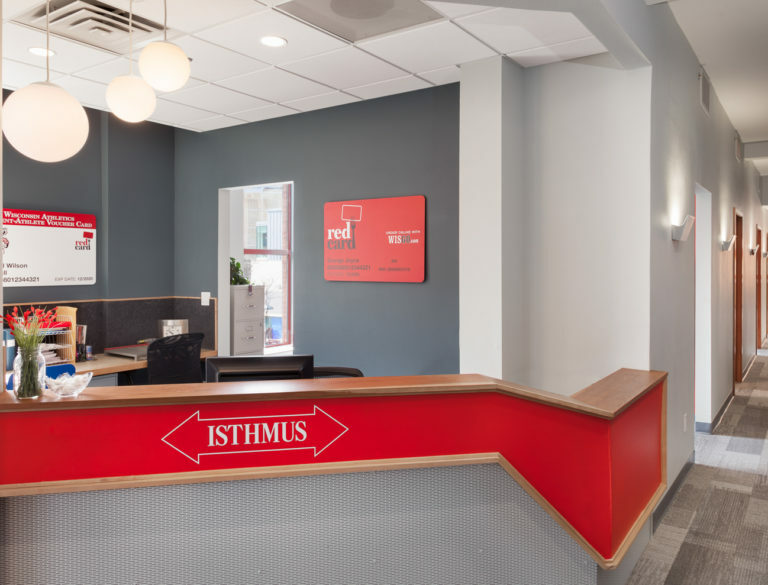 Aro Eberle Architects was retained by Isthmus Publishing to design their new office at 100 State Street. 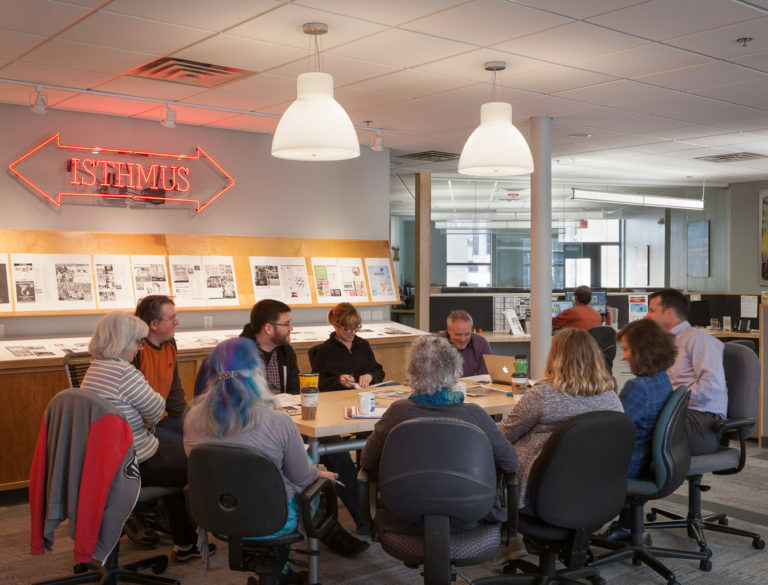 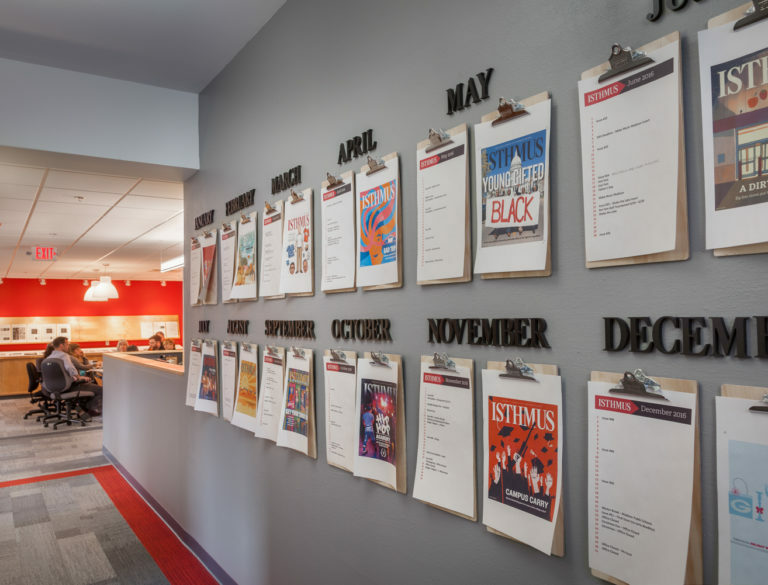 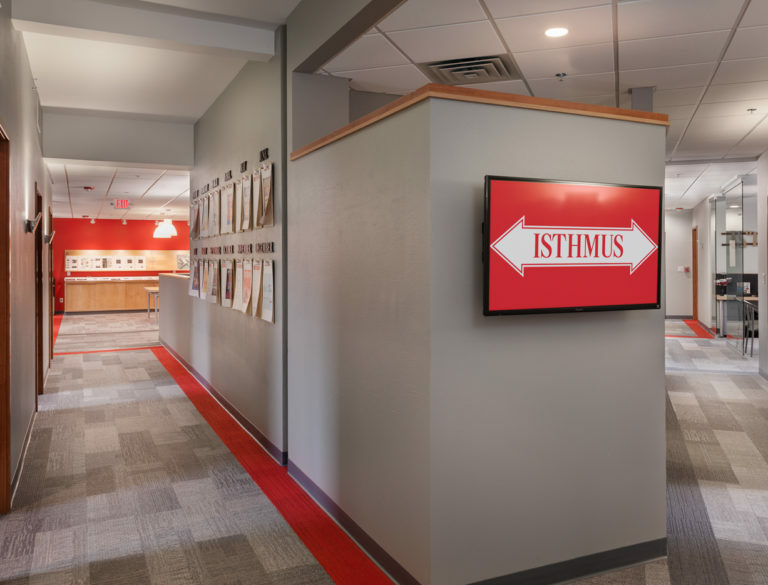 Isthmus Publishing’s new space is smaller than their existing office, so Aro Eberle Architects helped establish an efficient plan to accommodate their 30 person staff comfortably and still maintain their culture. 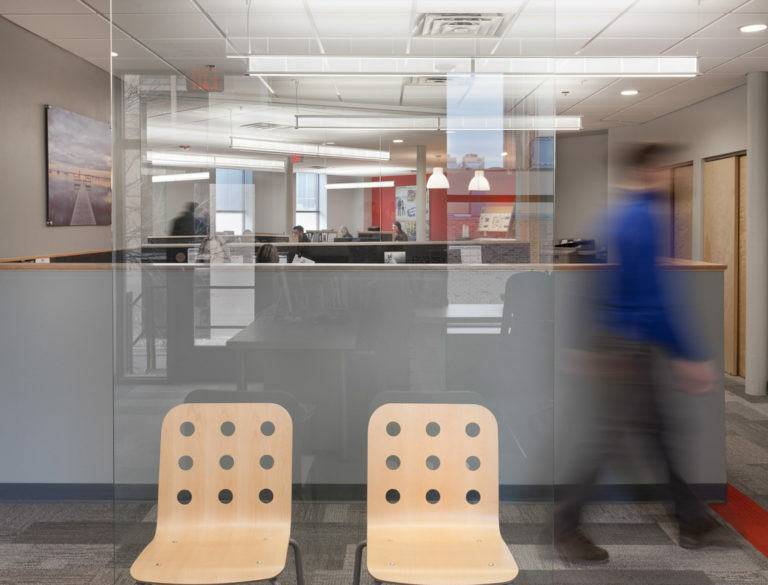 The goal was to create large, day-lit work spaces by selectively removing existing partitions and by carefully grouping and arranging each department.